The 3rd Annual Mystery Writers Key West Fest will take place June 10-12 at the island’s DoubleTree by Hilton Grand Key Resort, 3990 S. Roosevelt Blvd. Key West, Florida Keys – The 3rd annual Mystery Writers Key West Fest launches Friday, June 10, at the DoubleTree by Hilton Grand Key Resort, 3990 S. Roosevelt Blvd. 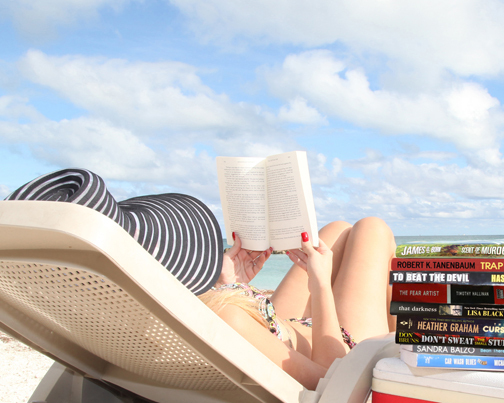 Florida Keys TV producer and Jenna Stauffer dives in to the works of some of her favorite authors in anticipation of the 3rd Annual Mystery Writers Key West Fest, a gathering of bestselling and award-winning, mystery, suspense and true crime writers to be held in the island city June 10-12. The “Murder & Mayhem in Paradise” themed weekend of total mystery immersion - open to published authors, aspiring authors and non-writing book lovers alike - includes panels, presentations, workshops and social events with a “killer” hit-list of some of America’s top award-winning and bestselling mystery writers and true crime experts and features New York Times bestselling author and renowned trial lawyer Robert K. Tanenbaum as keynote speaker. Events kick off on Friday afternoon with four back-to-back workshops: a birds-eye view of true-crime and law enforcement presented by Monroe County Sheriff’s Office SWAT Team and Key West Police Department team members; “How to Write a Novel,” Parts 1 and 2 with award-winning author and former undercover agent James O. Born; and “Real Forensics and the Mystery Writer,” with forensic scientist and New York Times bestselling author Lisa Black. With the evening comes a welcome celebration and sit-down dinner at Smokin’ Tuna Saloon presided over by Fest producers Shirrel Rhoades and Michael Haskins along with Key West City officials, followed by a roast of Mystery Writers of America – Florida Chapter President Randy Rawls, MC’d by James O. Born. Saturday’s series of panels and presentations is populated with leading mystery fiction authors representing a variety of genres including (but not limited to), action/adventure, comic, “cozy” mysteries, forensic, hardboiled, supernatural, noir and police procedural. They include, “How I Write – Blank Screen to The End,” with Robert Coburn, Rick Ollerman, Sandra Balzo and Bill Craig, moderated by Siera London; “Creating Suspense,” with Heather Graham, Lisa Black, Anna Castle and Don Bruns, moderated by Mike Dennis; “Believable Dialogue,” with Timothy Hallinan, Siera London, Mel Taylor and Deborah Sharp, moderated by Anna Castle; and “Noir,” with Mike Dennis, Jake Hinkson, Paul McGoran and Lewis M. Weinstein, moderated by Shirrel Rhoades. For Saturday’s final panel, moderated by James O. Born, notable area true-crime experts Carol F. Frederick, FDLE; Jim Linder, JIATF; Chief Donie Lee, KWPD; and Sheriff Rick Ramsay, MCSO will share insights on the Keys criminal element and details of the strange crimes that surround them. Saturday highlights include luncheon with keynote speaker Tanenbaum, presentation of the Whodunit Award, a sunset waterfront dinner with acclaimed author Timothy Hallinan at Turtle Kraals Restaurant & Tower Bar and a Sloan’s Haunted Key West tour co-hosted by New York Times and USA Today bestselling author Heather Graham and USA Today bestselling author Don Bruns. Sunday is for chilling along the waterfront with the Fest’s finale Bloody Mary Sunday Morning Buffet Breakfast at the island’s iconic Schooner Wharf Bar. Mystery Writers Key West Fest is produced by Shirrel Rhoades, a publisher who has held executive positions with Reader’s Digest, Scholastic, Harper’s, Marvel Entertainment and other well-known publishing companies, and Florida Keys-based author Michael Haskins, creator of the popular Mad Mick Murphy mystery series. 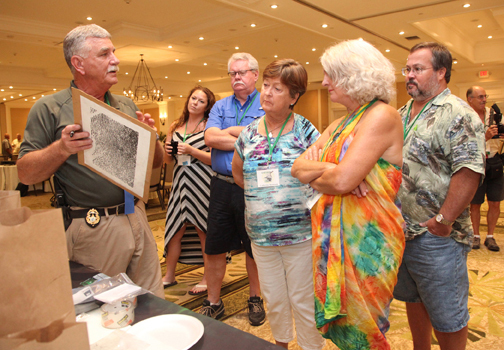 Attendee’s at last year’s Mystery Writers Key West Fest gained insights on fingerprinting techniques in a true-crime workshop with MCSO CSI Detective John Underwood. "It’s not just writers and fans of mystery fiction and true-crime that come to our Fest," said Rhoades. 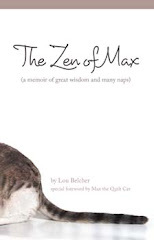 "In our first two years we quickly discovered that, because of the caliber and accessibility of our guest authors, the fascinating panels and unique social events, our ranks were being infiltrated by enthusiasts of many genres. After all, how many writers festivals are there in which leading, world-class authors are hanging out, having fun and rubbing elbows with the audience members every day?" “There’s no other conference like the Mystery Writers Key West Fest because there is no other place like Key West,” commented Haskins. "I'm not saying it's something in the water, or the watering holes, but then again I'm not saying it's not." Sponsored by the Key West Citizen daily newspaper, Mystery Writers of America – Florida Chapter, the Florida Keys Council of the Arts and numerous public and private sponsors, at just $175 the Mystery Writers Key West Fest includes full access to three days of panels, presentations and social events, plus four meals. “It’s practically criminal,” says Rhoades. For more information and a complete schedule visit www.mysterywriterskeywestfest.com.